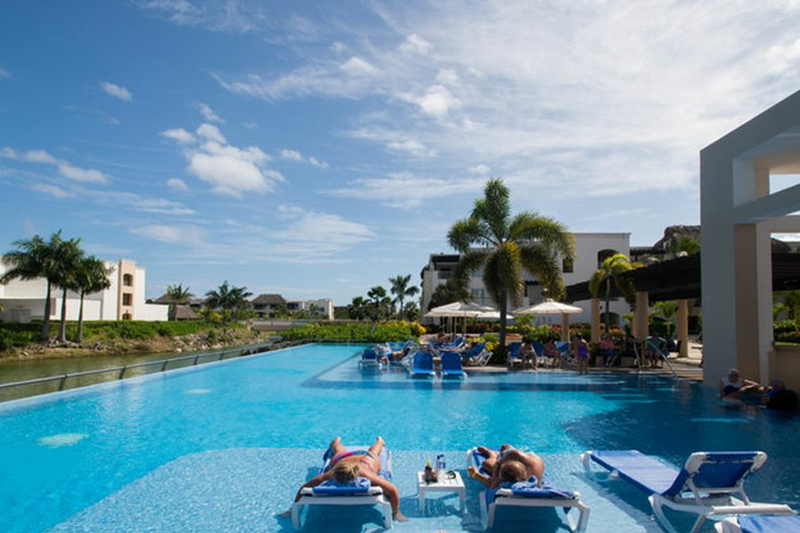 Enjoy everything the all-inclusive Hard Rock Hotel & Casino of Punta Cana has to offer. 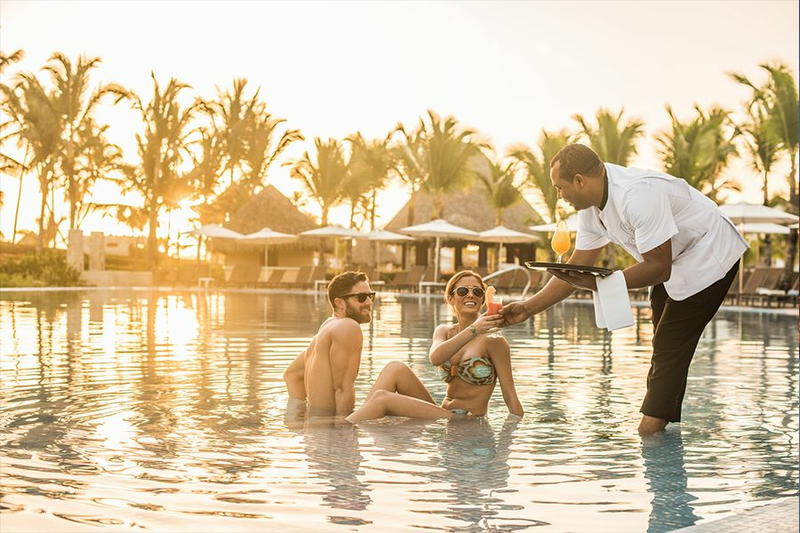 Multiple bars & lounges, delicious dining options, massive pools, swim-up bars, lazy river, hot tubs, spa, fitness center, golf course, and the 45,000-square-foot-casino will all enhance your festival experience. Available in garden view. Suite features either one king-size bed or two double beds with a private balcony. Approx. Size: 781 sq. ft. Available in garden or lagoon view categories. Suite features either one king-size bed or two double beds; with a private balcony. Approx. Size: 815 sq. 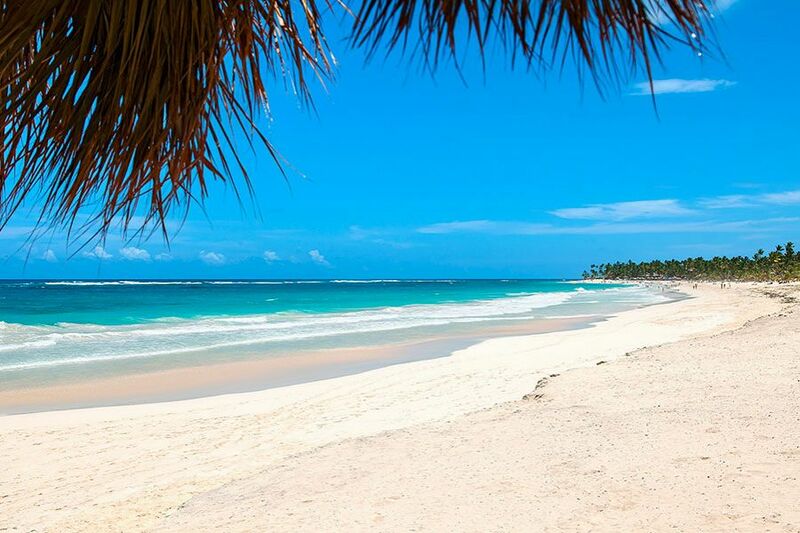 ft.
Just a short walk to the beach to sink your toes in the sand. Available in pool or garden view categories. Suite features either one king-size bed or two double beds; with a private balcony. For the party animals who want to stay in the midst of the action. 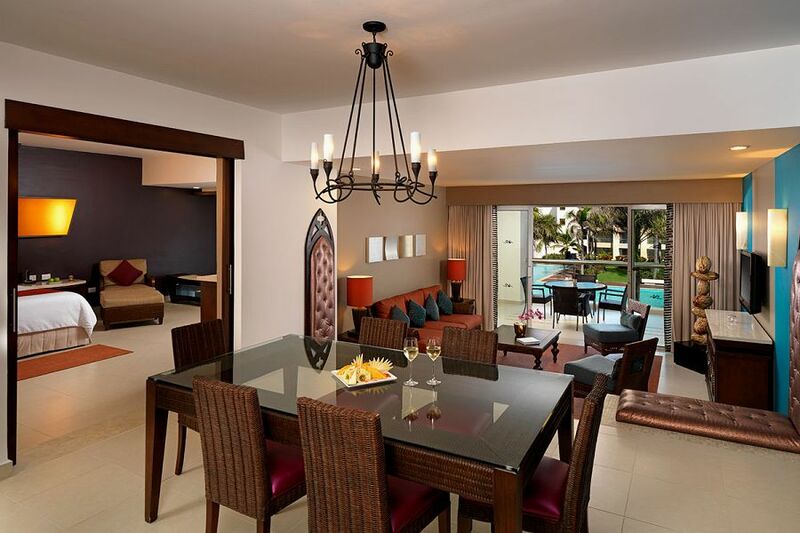 Rooms centrally located near shops, restaurants, stages and pools! Available in pool or garden view categories. Suite features either one king-size bed or two double beds; with a private balcony. These rooms are closer to the action! Available in lagoon or ocean front view categories. 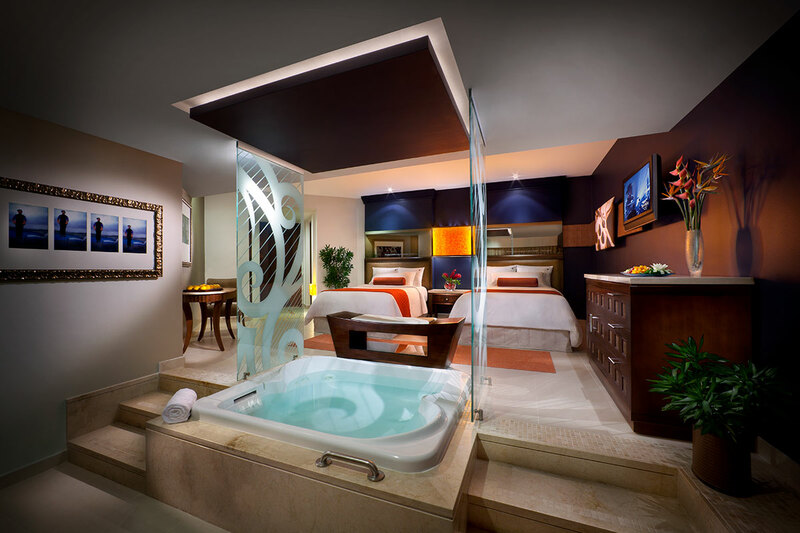 Suite features two double beds, with a private balcony. 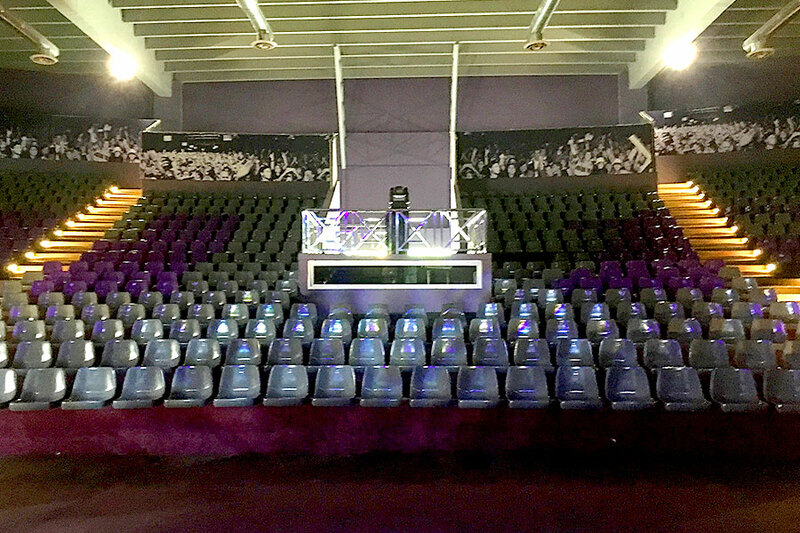 These rooms are up close & personal with the Main Stage. Suite features either one king-size bed or two double beds with a private balcony. 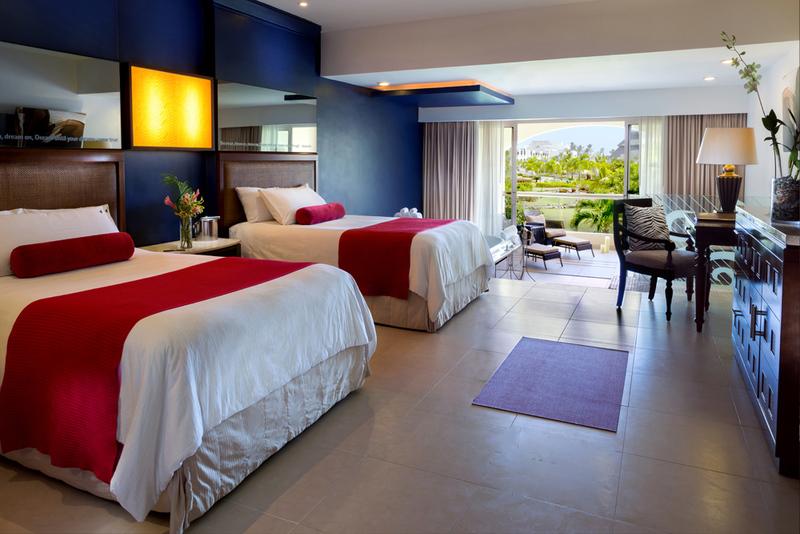 Oceanfront suites sleep up to six guests! Available in garden or lagoon view categories. 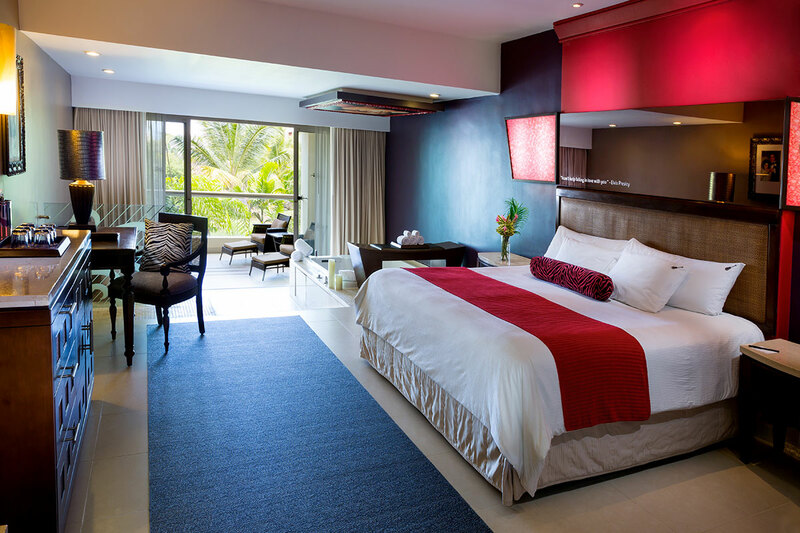 Suite includes one master bedroom with a king-size bed and an adjacent family room with two double beds and dining room. Approx. Size: 1,715 sq. ft. 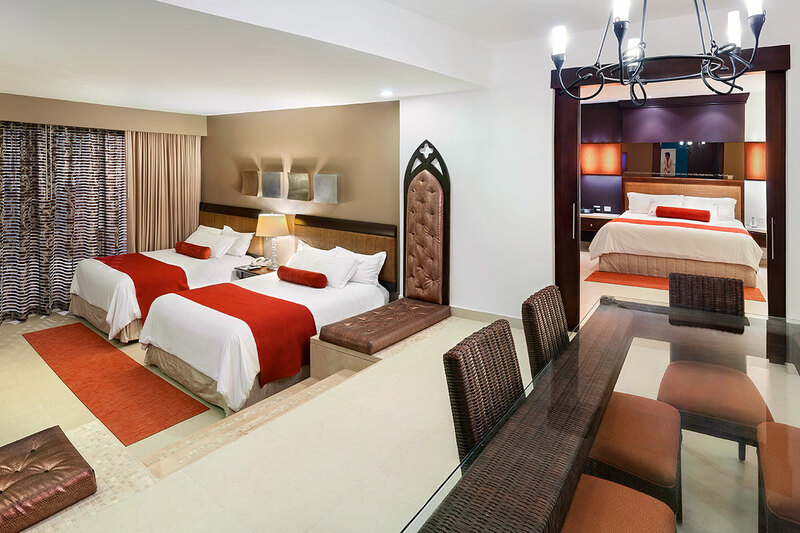 Lounge and dine without leaving your room in this suite that features one bedroom with king-size bed with a living area and dining room with a expansive and private balcony. Available in garden, lagoon or ocean front view categories. Includes Personal Assistant (Concierge Service). One word: luxury. This suite sleeps up to six guests. One bedroom with a king size bed and a second bedroom with two double beds with a living and dining room and an expansive terrace with breathtaking oceanfront views. Includes Personal Assistant (Concierge Service). Approx. Size: 2,496 sq. ft. There's a reason we call this Royal. 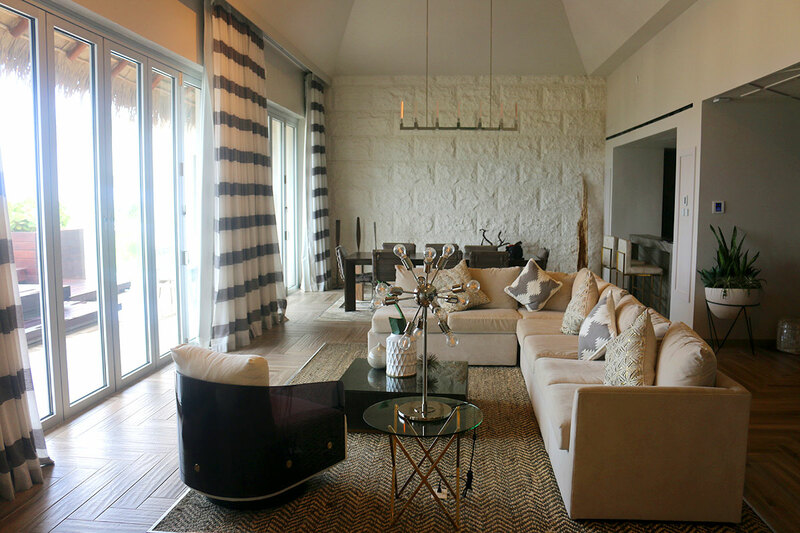 The newly renovated villa holds up to twelve guests and is truly incredible. 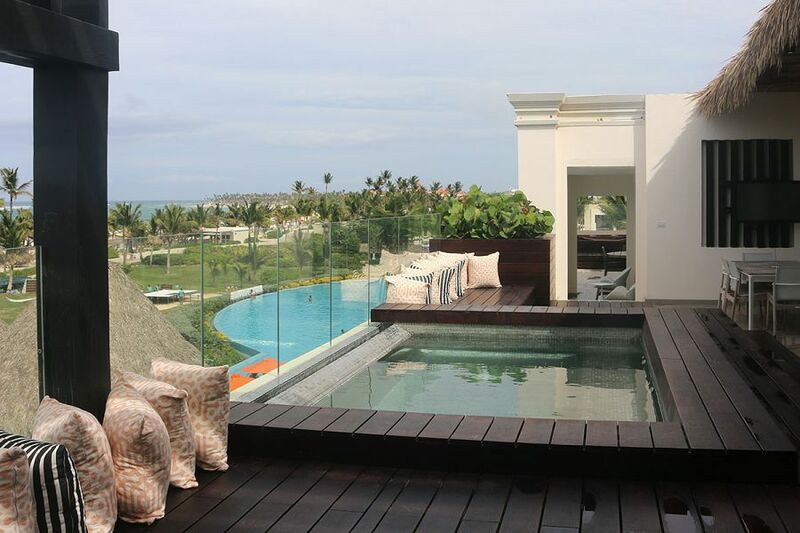 This luxurious oceanfront view suite includes two bedrooms with king-size beds and two bedrooms with two double beds. Living room, dining room and in-room bar. Includes Personal Assistant (Concierge Service). Approx. Size: 7,744 sq. ft. Sometimes you need breakfast. Sometimes you need a cocktail. Sometimes you need a breakfast cocktail. You're on vacation, we won't judge. We invite you to experience this contemporary Italian restaurant that offers a beautiful view of the property’s natural gardens. Surrounded by the lazy pool, with an ocean view, this outdoor Brazilian style restaurant allows guests to enjoy a vast selection of meats and poultry. The specialty here is fresh Caribbean cuisine, with delightful fish, poultry, and meat dishes prepared using spices that characterize the exotic flavors of the islands. 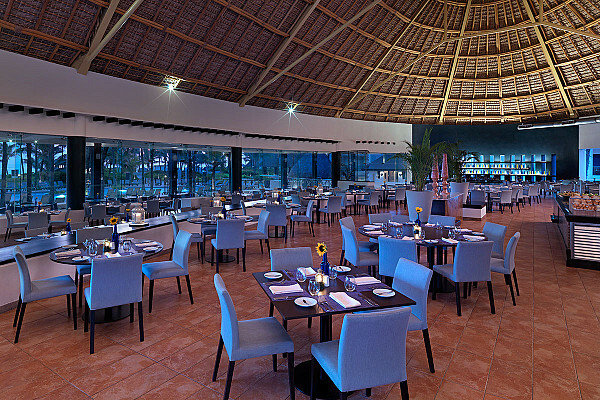 An icon of Latin American cuisine, generating countless flavors, customs and traditions. Can’t get the group to decide? This buffet-style restaurant has something for everyone. Breakfast, lunch or dinner, you can find it all here. Pizzeto offers a great variety of artisanal brick oven-style pizzas, all Italian recipes as well as other Mediterranean influenced dishes. 24-hour room service. If that doesn’t say Rock & Roll, nothing does. Stay in and enjoy breakfast with a view. Call in a late-night snack at 2AM. Or enjoy experiential dining from the comfort of your own room. Some might call that crazy. We just call it standard. 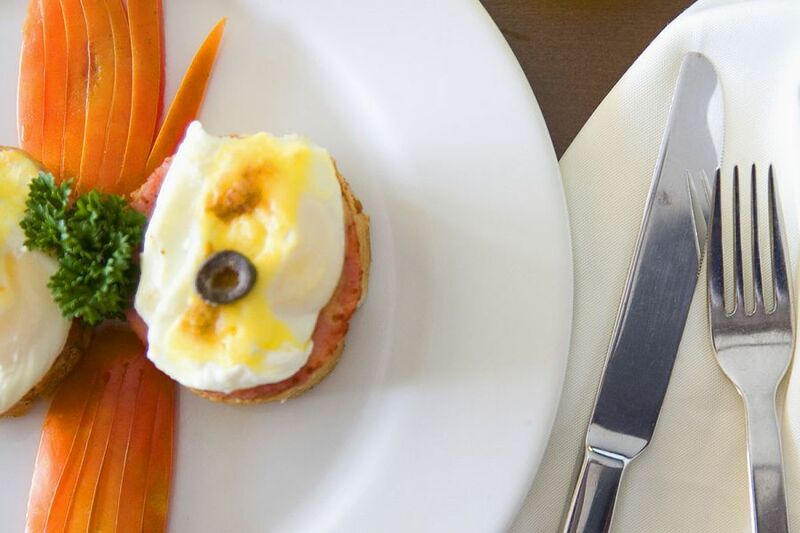 Offers exceptional international buffet for breakfast and lunch. Premiere cuts of meat, premiere ocean views. Steakhouse a la carte for dinner, and yes add the perfect martini. This teppanyaki style eatery specializes in Chinese and Japanese dishes. The main attraction is the show our chefs perform while creating meals right before your eyes. This hangout spot is the prime location to view a beautiful Caribbean sunset. Gather your crew for an incredible photo op! 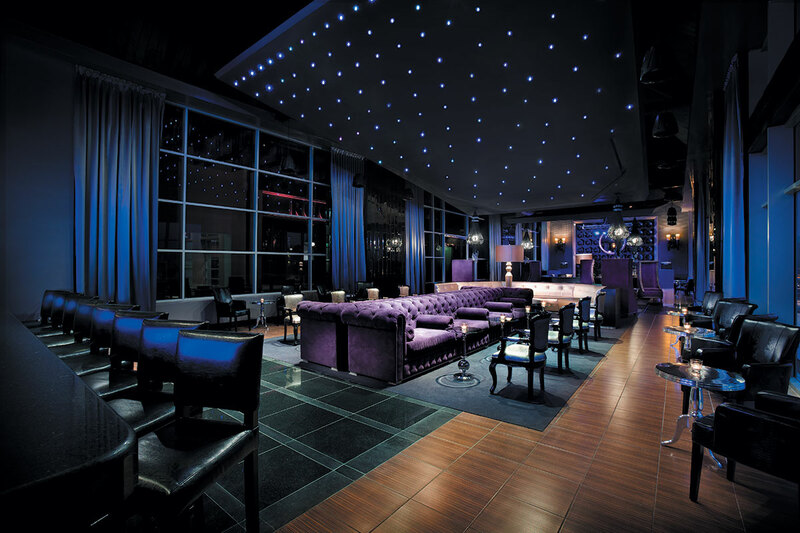 Chill vibes, plush couches, and a large selection of top shelf liquors make this lounge the ideal spot for a cocktail to start your evening or late-night fun with friends. 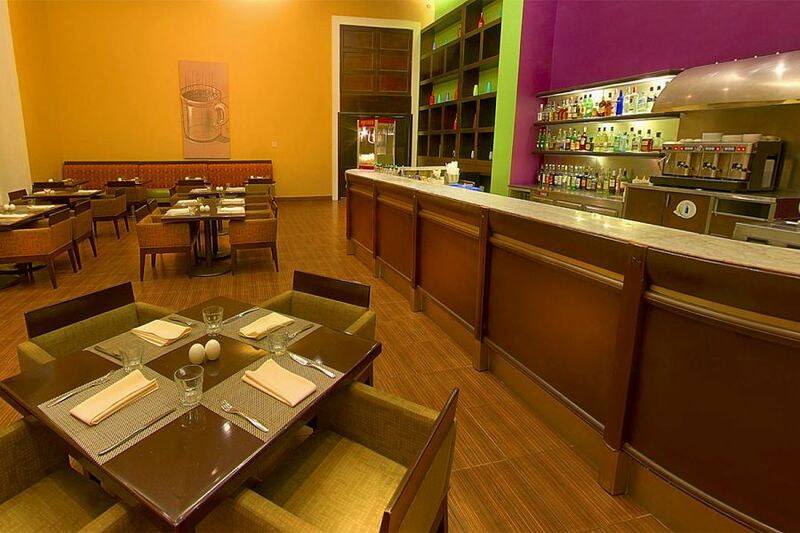 Centrally located in the lobby area, this pub-like bar has a casual setting -- complete with TV's and pool tables! 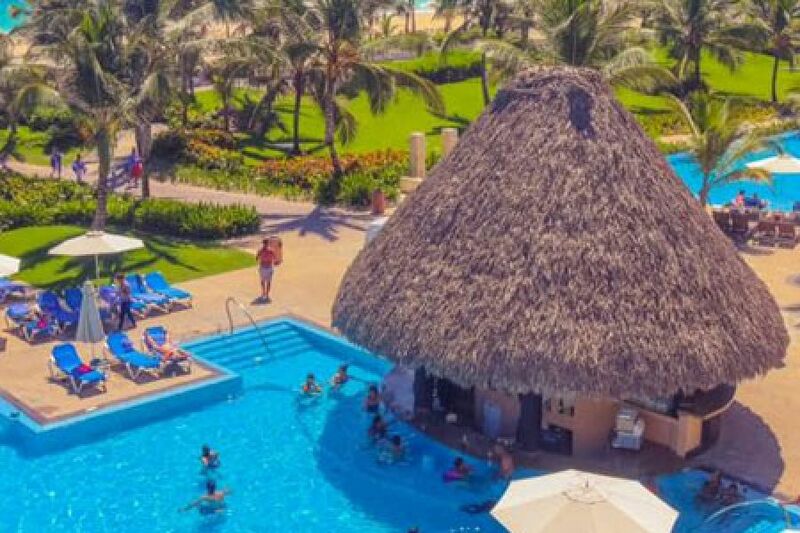 With 8 pool bars throughout the resort, you'll be able to soak up the sun and never have to worry about being empty handed! Kickstart your morning or catch an afternoon caffeine boost with delicious coffee, cappuccino, espresso, or latte, you decide! 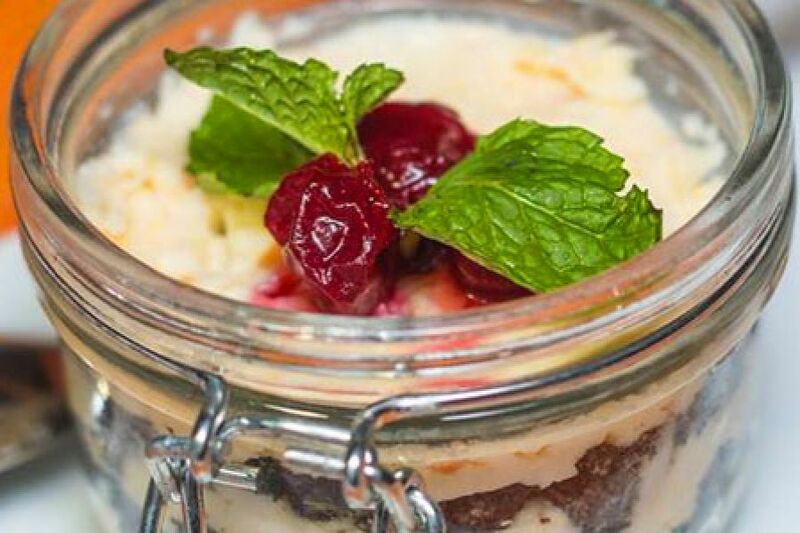 Must Sweet & Coffee offers a variety of coffee to pair with their delicious desserts. This insanely beautiful sandy playground is all yours to make your own! Float the most, plop yourself into the shallow waters to stay cool, or enjoy the ocean breeze loungin' on your towel with a fruity cocktail in hand. Just live it up Caribbean style! Grab a putter and challenge your friends to a game of mini-golf, no cart or spiked shoes required. In fact, the only requirement we have at our little jewel of a putting course, is that you have fun. 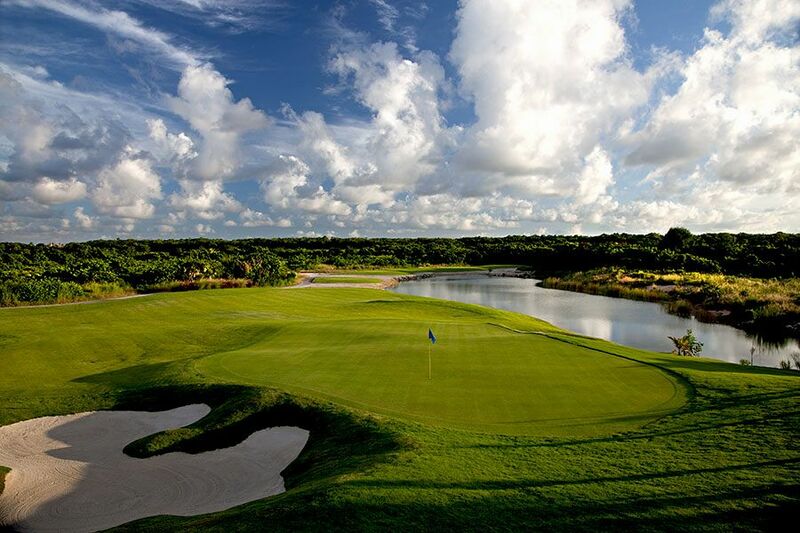 Pretty hard not to, once you sink that first hole in one. Did you leave your favorite beach hat at home? Or are all of those casino winnings just burning a hole in your pocket? 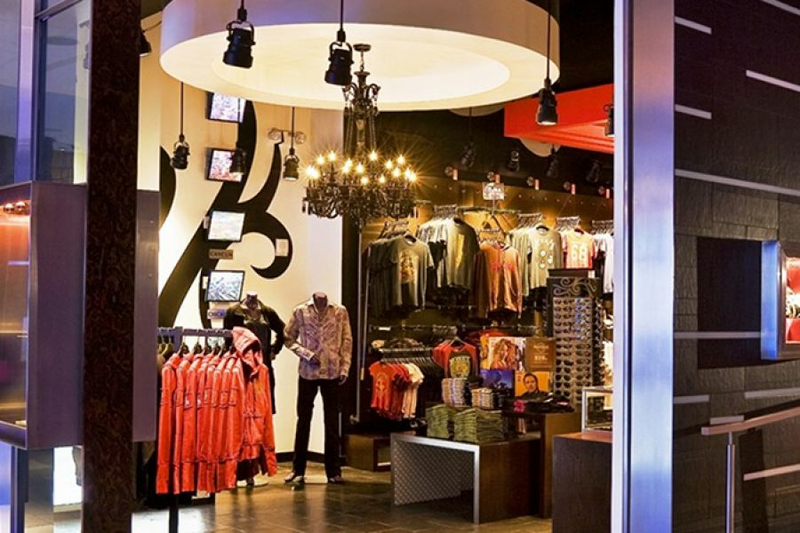 No matter what your shopping needs are, Hard Rock Punta Cana has you covered with a collection of over 15 shops and boutiques in the Boulevard. Whether you're looking for jewelry, souvenirs, or a new outfit to wear to dinner, you'll be able to find it here! The Caribbean's most complete hydrotherapy center with: 46 rooms, 6 palapas, multiple lagoons, two whirlpools, steam room, sauna, food creek pathway, hydro-reflexology, sensory expertise pool, and a cutting edge ice room. Welcome to Rock Om. Where the serenity of yoga meets the vibrancy of music. Relax, refresh and get your body back on track. Live Free and Rock Om. 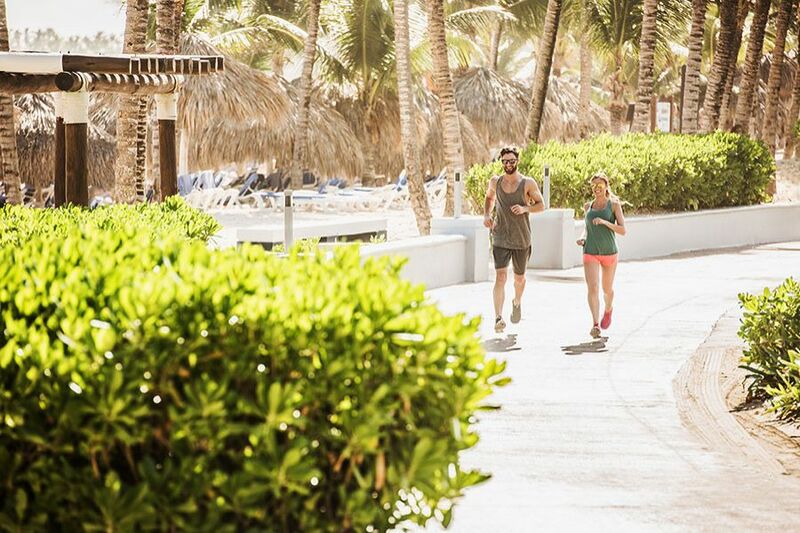 With nearly 5,000 square feet of cutting edge exercise space, our Body Rock® Fitness Center is all you need to keep moving in paradise. Enjoy daily classes scheduled throughout your stay with expert instruction, professional equipment, and world-class facilities. Explore the beauty of the entire property via two wheels on this easy, breezy, paved ride. Clear your mind (and sweat out the night before) with a jog around the scenic running trail. 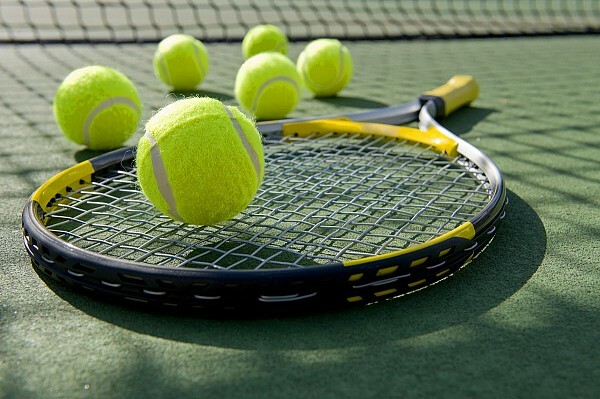 Whether you're a pro, or prefer a casual game of doubles, we have you covered with our open courts. "Love" is a good thing in Po-Dunk Paradise! The wildest pool parties and some rockin' shows are going down at Central Pool. With the Pool Pavillion Stage located here, and a swim-up bar nearby, you can enjoy the music & unlimited drinks while laying poolside or cooling off in the water. This is THE place to be in the midst of the action! Wild pool parties will overflow from Central Pool to this nearby, equally awesome pool. The Pool Pavilion Stage is close by too! Whether you're dancing to DJ tunes or lounging poolside, you'll have a blast! What says "vacation" better than a big swim-up bar under a tiki hut?! 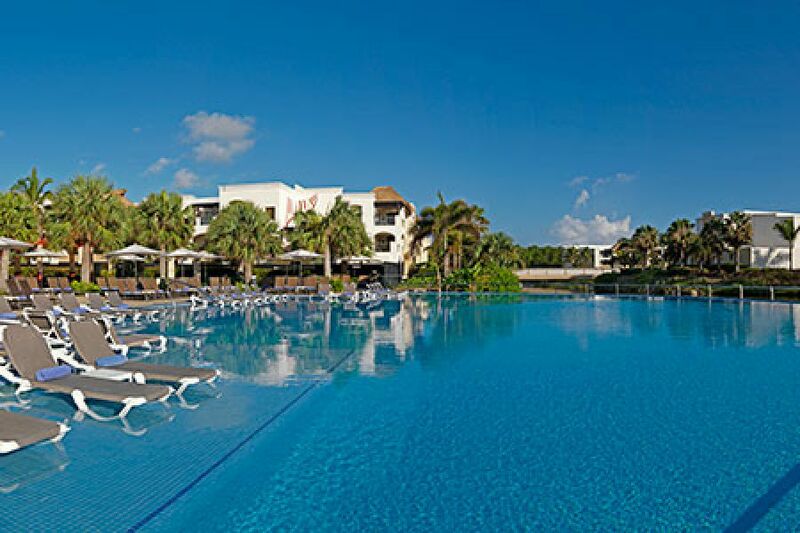 Just a quick walk from the beach and on either side of the Eclipse Pool, these vast spaces to swim, lounge, drink, or all of the above may be our favorite pools on site! Float the day away and gently ride the current on the lazy river. You can't get any more "Chillin' the Most" than that! If you're looking for something a little more private, head to this adults-only pool featuring European-style bathing (that means clothing optional, ow ow! ), a full bar, and bali beds. 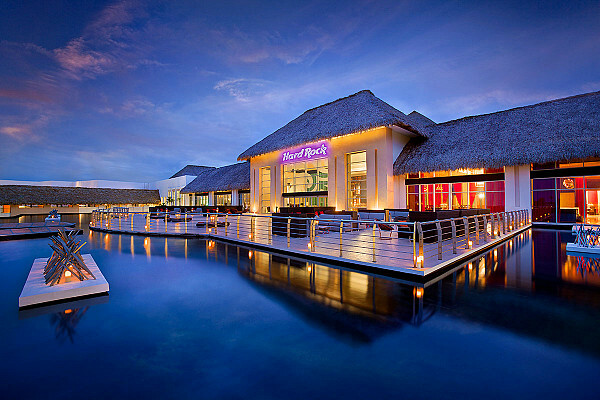 Take a beat from the party and unwind in this exotic getaway. 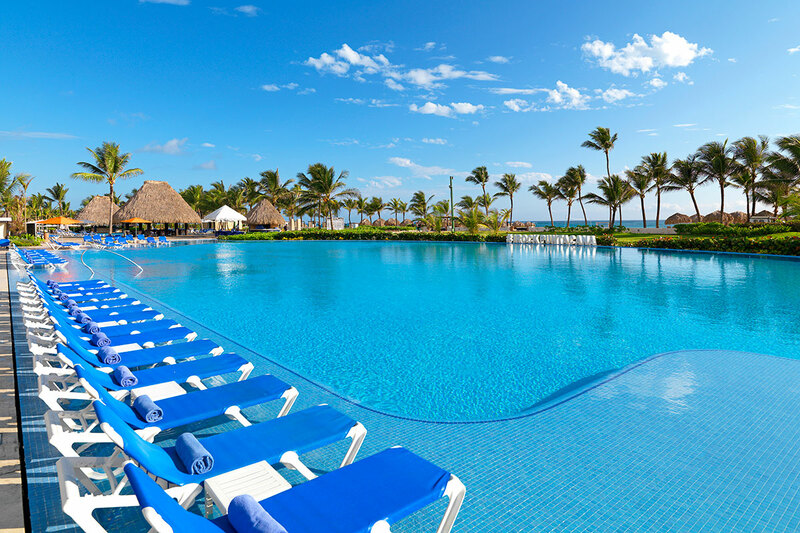 With a beautiful backdrop like this, the Moon Pool is a great place to catch some rays! 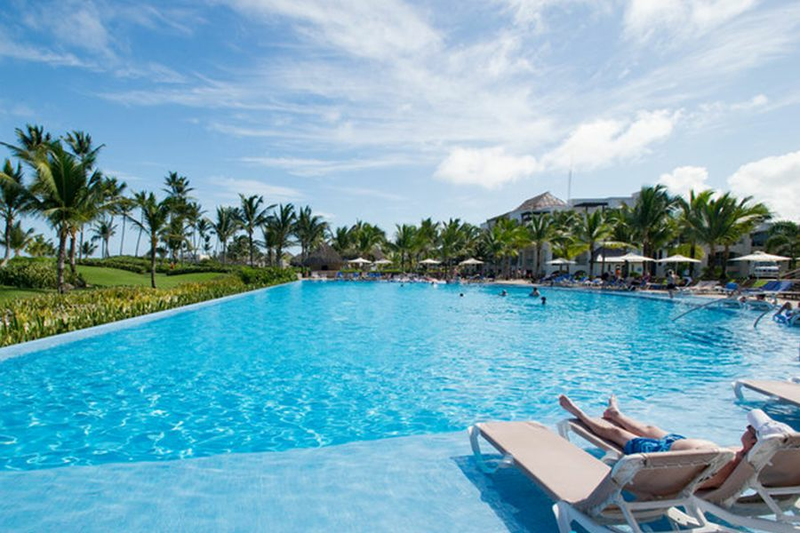 The Bongos Pool is a great option when you want to step away from the dysfunction and enjoy a serene afternoon. A quiet sanctuary to relax and unwind between the non-stop partying. This pool offers water slides and activities for the folks under 16! 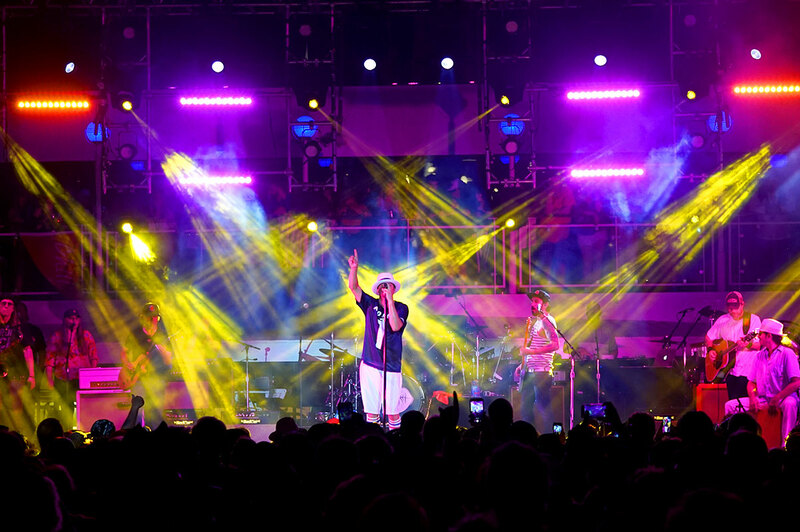 This is the place to be, and where you'll see Kid Rock perform TWO unique shows! This venue might just become your favorite place on the resort! Stay cool in the pool, warm up in the hot tub, or catch some rays in a lounge chair, all while staying in the midst of the wild action! This venue will be poppin' with music and activities throughout the festival. This venue is located near the Casino. During the day, the theater will be jam-packed with Hard Rock’s featured shows and activities. But when the sun sets, our comedian will take the stage! This spectacular 45,000-square-foot Casino features legendary play at 40 unique tables and more than 400 of your favorite slots. Enjoy the pulsating energy of our Poker Room, Blackjack, Craps, Roulette, and Baccarat. Or, find high-limit thrills and top-shelf service at our Salon Privet VIP area with high-limit Baccarat, American Roulette, Blackjack, and so much more. Alcoholic Beverages in the Casino are not included as part of your vacation package, unless gambling.